There's an old saying, usually attributed to Confucius, that goes something like "Give a man a fish, and you'll feed him for a day. 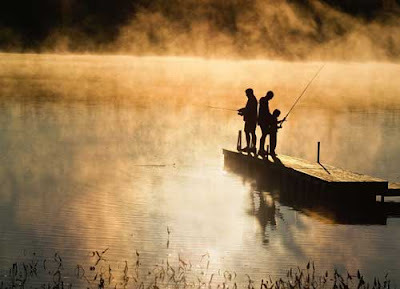 Teach a man to fish, and you've fed him for a lifetime." There's an important life lesson in that simple statement. Some people translate it conceptually into something like "Education is the most important thing you can give someone to better his circumstances." For me I don’t believe this gets to the heart of the matter. Give a man the answer, and he'll only have a temporary solution. Teach him the principles that led you to that answer, and he will be able to create his own solutions in the future. It's considerably less catchy, of course, but I think this is the true meaning of Confucius’s statement. Suppose someone is trained on how to create a simple graphic in Excel. No doubt he or she will be quite able to create a graphic, but they will have problems doing other things because they have not been educated about the many functionalities and applications of Excel. Then suppose you have someone else, someone who has been educated about Excel’s full capabilities. This person understands the major concepts that underpin Excel’s functionalities and made them necessary in the first place. This second person will be able to apply their background knowledge, and compound it with creativity, to find solutions to problems they have not encountered before and they can inventively use Excel to do things they have never been trained to do. You train someone to do something. It is task-oriented. It is skill-based. You can train someone to increase their proficiency. But in essence, you get what you put into it. A trained person may get faster, but they’re unlikely to find a truly new and better way to do something. Because training has a skill-based focus; it does not provide the depth needed for creative problem solving and innovation. You train people for performance. You educate people for understanding.